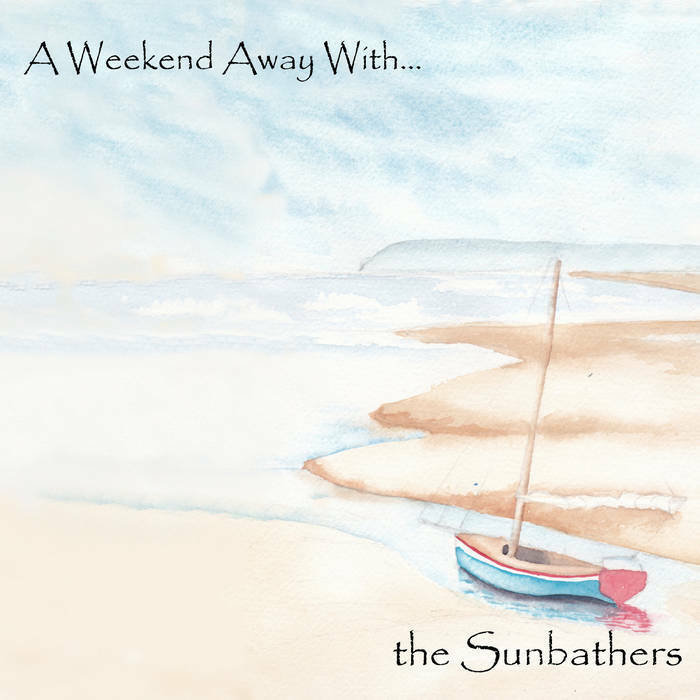 Acoustic indie band The Sunbathers release their debut LP ‘A Weekend Away With …..’, featuring a sea-related theme threading through the 15 tracks. As the duo hail from the East Midlands the geographical distance to all coastal areas adds an extra longing in the references to far-off places as the answer to yearnings and melancholic reflections. Beginning with wave and gull sounds the opening track ‘It Doesn’t Matter If It Rains’ sets the tone of wistful nostalgia explored in later lyrics. The instrumentation consists of Paul’s sparkling acoustic guitar, with delicate arpeggios and multi-layered harmonic structures. An occasional ukulele and percussion fades in at times, with a melodica giving a reassuring DIY simplicity too on ‘Big Boy Now’ and ‘Shifting Sand’. The chance meeting in ‘If Only’ is a sad lament for a past relationship possibly given new life by a day at the sea, ‘…the wind sweeps in across the bay and takes my breath away and I’m willing you to stay…’. The waltz time of ‘Girl You Left Behind’ gives an upbeat musical gloss to a brilliantly restrained lyric of disappointment, delivered with subtle emotions by vocalist Julie. It is a beautiful, involving album to escape into, fragile and carefully crafted. Discovering its quiet secrets was a bit like hearing Nick Drake’s Pink Moon for the first time and I can’t recommend it higher than that. This entry was posted in Music and tagged acoustic, Duo, LP, review, sunbathers on September 20, 2018 by iknoweno. 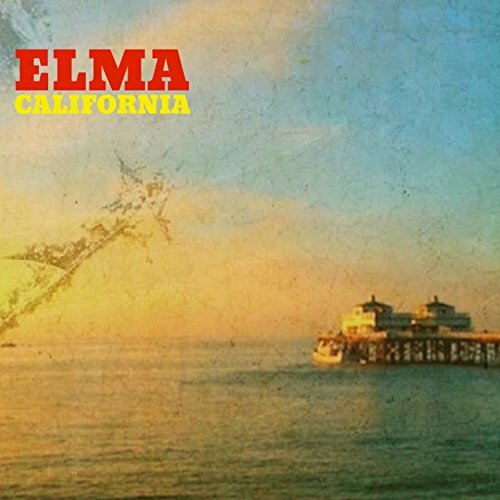 There is plenty of musical talent in the area not directly in the city of Cambridge; St. Ives, Haverhill and from Ely come Elma , named after singer Ellie Gillett and multi-instrumentalist and songwriter Mark Ellis. Tapping into a sixties revivalist sound, this duo comfortably inhabit several styles and contrast with the many current performers who pursue pure psychedelia from that era. For a concert advert they say ‘see us!! We’ll make you laugh, then cry, then we’ll put you back together again’ which seems a fair assessment based on these four fine songs. 1. Slo-Mo. Co-written with highly regarded songwriter Boo Hewerdine, this end-of relationship waltz builds well with repeated listens.The mostly acoustic instrumentation ebbs and flows and somehow the direct lyric really nails the emotional idea, (‘…I read your letter, the black and the white and suddenly everything’s grey…’). Check out the video, filmed at the Cambridge Union café/bar, all good fun. 2. Butterfingers. Another collaboration with Boo, this is my favourite track on the EP. With hints of Dylan’s Make You Feel My Love and Eric Carmen’s All By Myself it is a plaintive piano ballad with a stunning vocal performance from Ellie; heartfelt, vulnerable yet still powerful. I love it. 3. September. I usually quite like this month but may have to reconsider after the traumatic lovelorn reminiscences described here, set to a full-on Phil Spectorish backing with handclaps, multi-tracked vocals and a proper middle eight section. 4. Settle Down. A quiet end to the EP, both of the duo get to sing here, gentle verses and a catchy hookline underpinned by acoustic guitar. The band are regularly gigging around the area, on the evidence of this EP I look forward to a full LP too…. This entry was posted in Music and tagged Duo, elma, Ely, EP, review, slo-mo on November 5, 2017 by iknoweno.